Continental Reserve Subdivision is a Master Planned Community located in Continental Ranch. Marana is about 15 miles Northwest of Tucson. Its location near I-10 provides residents easy access to major employers south of Tucson. 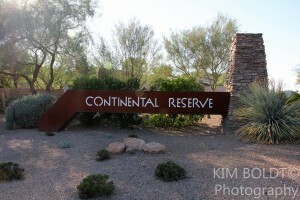 Continental Reserve Subdivision is 10 miles – about 20 minutes – west of Oro Valley. There are retail areas in Marana and Oro Valley. Continental Reserve Subdivision continues to grow. Several National builders are building homes in Continental Reserve. Home builders offer choices in architecture, floor plans and most important – price! Continental Reserve families are served by the Marana School District. Marana sits in some of the West’s most beautiful public lands. Marana’s scenic wonders captivate visitors and residents. It is a community with unparalleled recreational opportunities, space to stretch and fresh air to breathe. Continental Reserve Subdivision and Continental Ranch are in the Town of Marana. Marana is a community that puts its residents and business owners first. Marana’s citizens take part in planning and setting the Town’s vision. Other Master Planned Communities in Marana include Dove Mountain and Gladden Farms. Both of these communities have experienced rapid growth. Dove Mountain is located midway between Marana and Oro Valley. The Ritz-Carlton Resort in located in Dove Mountain. Looking For A Home In Tucson? Searching real estate Tucson OR planning a move to Tucson? We Can Help! Questions about the Tucson Real Estate Market, Continental Reserve and Continental Ranch Homes for Sale? Call Us – 520-940-4541 OR complete the CONTACT FORM and we will get right back to you!